Coachella will not allow any marijuana inside festival grounds, according to event owner Goldenvoice. It sounds like a great time: listening to an amazing lineup while puffing in peace. But despite California’s recent legalization of marijuana, Coachella isn’t playing along. In fact, the festival has expressly announced that marijuana use — of any kind — will not be permitted on Coachella grounds.Of course, Coachella has prohibited pot since its inception — because it was illegal. But the festival owner isn’t changing its earlier policies on the matter, for a number of reasons. The first of those reasons isn’t what you might imagine. California’s game-changing legalization has set off a turf battle with the US Government, and giant music events could present high-profile targets for the feds. But that’s speculative, and the more important reason is that the town of Indio has elected to adopt stricter limits on marijuana consumption. Accordingly, it’s more likely that Coachella owner Goldenvoice has opted to play nice with local officials. That means no casual sales or dispensaries in town, though carrying small amounts is still protected by California state law. Just don’t expect to be able to bring anything into the festival, though event organizers will allow you to stash your weed in ‘safe boxes’ while you’re inside. 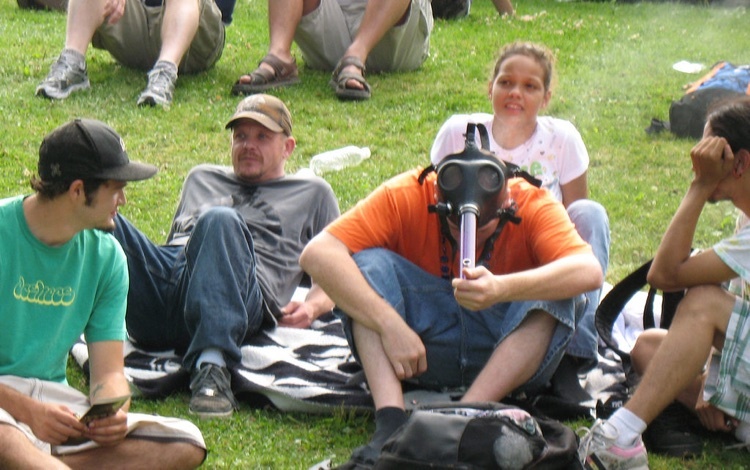 The festival could allow you to smoke your own weed inside the event. But they don’t want to. Coachella critics are likely to blame billionaire Philip Anschutz of Anschutz Entertainment Group (AEG), who owns the mega-festival. Earlier, Anschutz has come under pressure for donating heavily to anti-LGBT, anti-abortion, pro-gun, and pro-birther (as in, Obama-was-born-in-Kenya ‘birther’) causes and candidates. Anschutz declared those reports ‘fake news,’ though hard evidence backs the claims. “Not so friendly reminder that the owner of Coachella is right wing, capitalist, anti-LGBT, anti-climate change, and actively donates money to anti-LGBT organizations,” @ggglad blasted on Twitter. Meanwhile, the festival’s double-weekend sold out in just a few hours. So perhaps people don’t really care about weed restrictions or politics.